The Fraser River arises in the southeast and flows northwest through the Rocky Mountain Trench towards Prince George. The lake on the bottom right of the photo is Kinbasket Lake, on the Columbia River drainage. 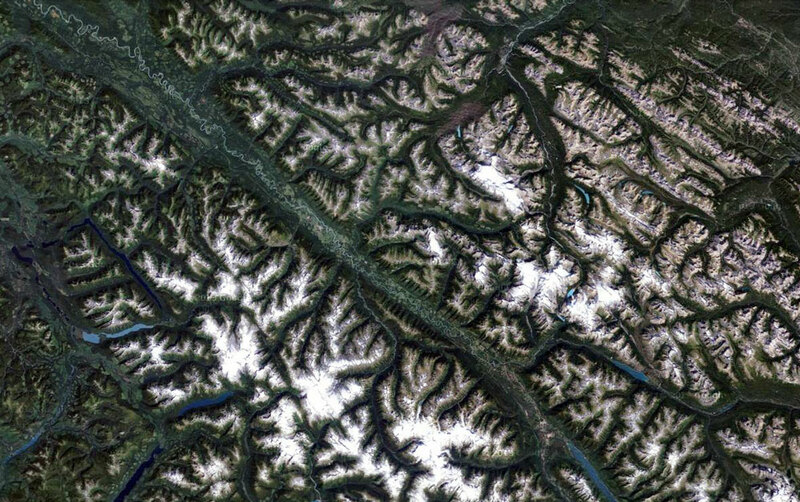 North of Kinbasket is Moose Lake, near the headwaters of the Fraser.